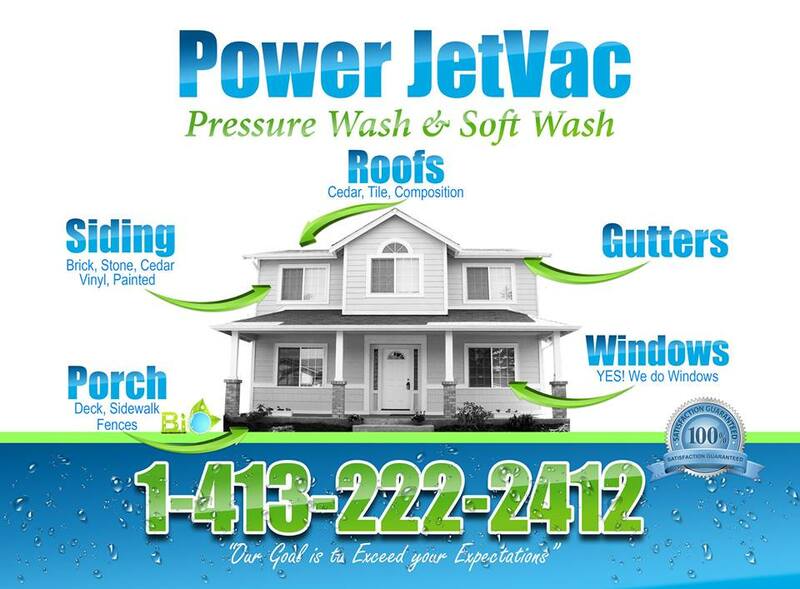 Power JetVac provides the most comprehensive set of cleaning services and always at the most cost effective prices. We view our relationship with customers as business partners and as in any partnership, communication is key to the success of that relationship. We pride ourselves on listening and responding to your needs with unique and effective solutions to even the most complex cleaning projects to do it better and that you may change over to Power JetVac for all your cleaning needs. Pressure washers were first developed in the 1950s, and are now used primarily as exterior cleaning tools. Basic residential models consist of four parts: An electric or gasoline motor, a water pump, a high pressure hose and a sprayer, which is usually in “trigger gun” style – a long metal tube with a pressure-sensitive grip handle at one end. Most washers have connectors for a standard garden hose, which acts as their water supply. The internal pump on will provide a set amount of gallons per minute – which cannot be altered – but almost all include the ability to change pressure by adjusting the unloader valve on the sprayer. Some washers have nozzles which allow you to vary the spray pattern and intensity of the water – for example a flat fan shape, loose stream, or pinpoint jet. The smaller the stream of water, the more powerful it becomes; no matter the pattern type, however, water pressure near the tip of the nozzle is enough to strip away skin, so care must be taken with any pressure washing. Electric units can provide up to 2000 pounds per square inch (PSI) of pressure from a garden hose, while gasoline units offer double that amount. It’s also possible to purchase models which contain small heaters, which produce hot water ideal for loosening dirt or grease. Pressure washers are not toys. At close range, they can remove paint from houses or break up pieces of asphalt tarmac. They’re an excellent choice to clean house siding, treated wooden decks, or vehicles, but always at a distance. Pressure washing a garage floor is an effective way to remove oil stains – often, this is best accomplished by narrowing the water stream and stripping off the top layer of concrete on the floor. 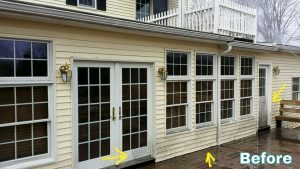 Never point a pressure washer at people or pets, and always make sure both water and electrical connections are secure before starting any project. Keeping your washer in good shape means regularly inspecting it for any signs of damage including cracked hoses, broken seals or rust on the nozzle head. This is even more critical if you have a model which can inject soap or detergent into the water stream. High-pressure downstream injectors, for example, add chemicals after water leaves the pump, while upstream injectors do so at lower pressures before water is pumped through. Using the wrong type of chemical in an upstream injector can seriously damage the unit; always read the instructions and thoroughly clean the washer after each use. If you decide to pressure wash your entire house, expect it to take several hours. Start at the top – as high as you can reach and the spray will go – and work your way down. Try to avoid spraying directly at outside electrical outlets, and when you clean windows use a less powerful spray to prevent accidental breakage. Be deliberate in your pattern, since missed and still-dirty spots will be quickly apparent after water has dried. For homes, companies often use biodegradable cleaning solutions which won’t damage plants or soil, and doesn’t leave behind a sticky or oily residue on siding. For concrete slabs such as driveways or sidewalks, extremely hot (200 degrees Fahrenheit) water is used, along with high pressure (3500-4000 PSI). Some cleaners also bring surface spinners which are designed for use on flat surfaces. 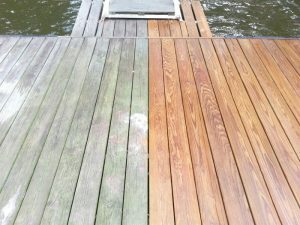 For decks, companies focus on hot water at low pressure to remove debris without cracking or splintering treated wood. Some also offer specialized services such as gutter cleaning, using high pressure water to blast out large piles of dirt or leaves, followed by hand cleaning. The cost of professional pressure washing should include a set price for materials such as soap and a minimal charge for the equipment used. The bulk of the price should be based on how much time it takes to complete your job, estimated by the size of the area to be cleaned. In some cases, companies will bring their own water and pumps to supply the kind of pressure necessary, but if they’re using water from your home, make sure you aren’t being charged for it. Porous brick or concrete is commonly used for building stairs, driveways and patios. Since most of these are built at ground level, rain, snow and ground moisture provide a perfect environment for mildew growth. That’s why it’s very common to see green and black mildew growing on your brick and concrete. 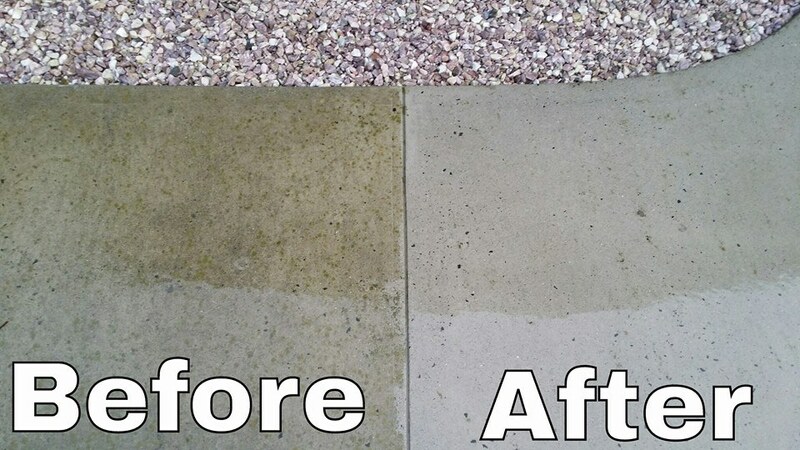 Fortunately, power washing removes the mildew and brings back the original color since brick and concrete structures are so durable. We use a hot water power washer on vinyl siding. Vinyl will get dirty just like any other siding material. Spider webs, mildew growth, dirt and chalkiness are the most common issues. 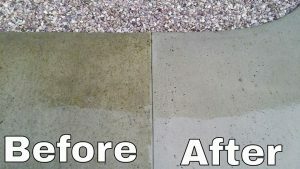 Maintaining a consistent power washing or Soft Washing schedule every one to three years keeps it clean and looking new. 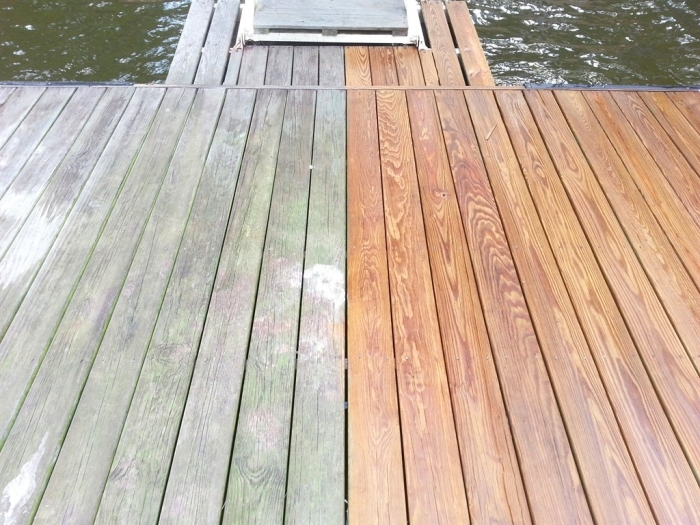 Power washing wood is always recommended if you are preparing to stain it. However, some woods are very soft, and if you haven’t had any practice, this may be the time to call Power JetVac professional.